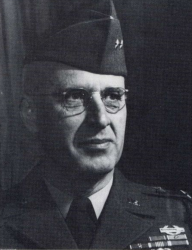 GEN Guy Stanley Meloy, Jr. Guy Stanley Meloy, Jr. was born in Lanham, MD, on 4 September 1903. After graduating from McKinley Technology High School in Washington DC, he obtained an appointment to the U.S. Military Academy. He graduated from West Point in 1927 with a Bachelor of Science degree and was commissioned as a Second Lieutenant of Infantry. One of his early assignments was with the first tank destroyer battalion to be organized in the U.S. Army. He followed that assignment by attending the British Army's anti-tank school and, upon his return to the U.S., was assigned to Camp Hood (later Fort Hood) as one of the first five officers at the now defunct Tank Destroyer Center. During World War II he served in Europe as Chief of Staff of the 103rd Infantry Division, and was Chief of Staff of the Airborne Center at Fort Bragg, NC. From 1946 to 1948, he was professor of Military Science and Tactics at Texas A&M University. He next served as Commander of the 24th Infantry Division in Japan. He deployed to the Korean War where he was seriously wounded. Later he commanded the U.S. Army Infantry School at Fort Benning, GA, and the 1st Infantry Division in Europe, where he oversaw the unit's redeployment to Fort Riley, KS. 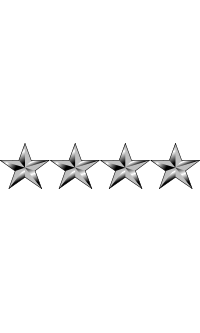 He was the Chief of Public Information at the Department of the Army and later Commanded Fifth United States Army at Fort Sam Houston in 1958 and then served as the Commander of VII Corps in Europe. He received his fourth star in 1961 and became the Commander-in-Chief of the United Nations Command, Korea; Commander U.S. Forces Korea; and Commanding General of Eighth United States Army. Next, he was Commanding General of the Seventh United States Army headquartered in Stuttgart, West Germany. He retired from the Army in 1963 at the age of 60. In retirement, he served as Mayor of Terrell Hills, TX, and was active in the San Antonio chapter of the Association of the United States Army, which established a scholarship in his name in 1970. The President of the United States of America, under the provisions of the Act of Congress approved July 9, 1918, takes pleasure in presenting the Distinguished Service Cross to Colonel (Infantry) Guy Stanley Meloy, Jr. (ASN: 0-16892), United States Army, for extraordinary heroism in connection with military operations against an armed enemy of the United Nations while serving as Commanding Officer of the 19th Infantry Regiment, 24th Infantry Division. Colonel Meloy distinguished himself by extraordinary heroism in action against enemy aggressor forces near Taejon, Korea, on 16 July 1950. Upon learning that a large enemy force had penetrated the unit's position and was menacing the 1st Battalion command post, Colonel Meloy personally led a counter attack with two lightly armored vehicles through heavy machine-gun and sniper fire, personally taking charge of a machine-gun position in order to aid in the counterattack. He continued to lead and inspire his men until loss of blood from a serious wound forced his evacuation. His fearlessness and aggressive leadership so inspired the officers and enlisted men of his unit that the attacking force was eliminated. Guy Stanley Meloy, Jr. died on 14 December 1964. He is buried at Arlington National Cemetery in Arlington, VA, in Section 30, Site I087-A. His wife, Catherine, preceded him in death in 1959 and is buried with him.